Aitor Gómez Goiri is a Research Assistant at the MoreLab Research Group who has also worked as an Assistant Professor at University of Deusto. 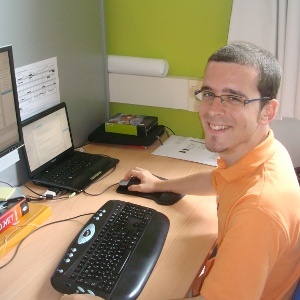 He finished his studies of Computer Engineering and Industrial Organization in 2008 and MSc in Software Development in 2010 at the University of Deusto. Currently he is a PhD student. Easing the Mobility of Disabled People in Supermarkets Using a Distributed Solution. Distributed Tracking System for Patients with Cognitive Impairments. On the complementarity of triple spaces and the Web of Things. A Triple Space-Based Semantic Distributed Middleware for Internet of Things.